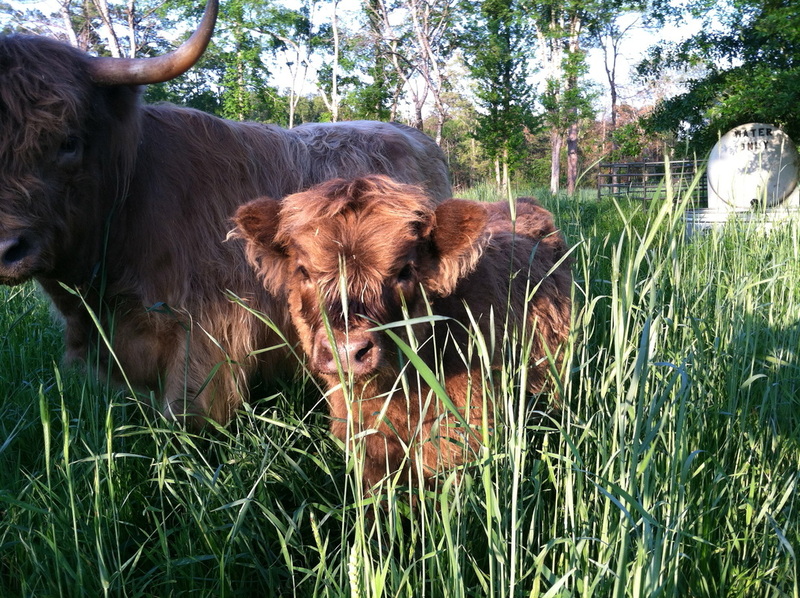 Breeders of "Scottish Highland Cattle"
Here we strive to breed one of the oldest breeds of cattle. Written record dates back to 1200 AD. Originating on the Northern Islands of Scotland, when ready for market, they were loaded onto small boats and then herded south 200 miles to the Lowlands. These animals gained weight while on their way to market. These are the sweetest, most gentle animals with beautiful long hair. This really makes them stand out as "Different". But it is this difference that makes this breed so special. This is "Heart Healthy Beef"